News and musings from wherever my crazy life takes me. My body may be back in Illinois, but at least for now, my mind is still in Mongolia. I fully expect that three months from now, I will still be finding wads of toilet paper tucked into forgotten pockets and corners of bags and backpacks. After all, I spent the last fifteen months in a country where the availability of toilet paper was never, ever a given. You need only forget it once to make the lesson stick: always take TP everywhere. I can drink water straight from the tap. People will look at me weirdly if I try to shake their hands after stepping on their feet. Toilet paper can be flushed down the toilet! Most people don’t drink hot water. People in public places can actually understand what I’m saying, and I need to moderate myself accordingly. YouTube videos do not require half an hour of buffering before I can watch them. Peanut butter is not worth its weight in gold here. Getting carded for alcohol – problematic when you lost your driver’s license in Mongolia. The hot water always works. Heck, the water always works, hot or cold! Non-instant coffee is widely available. I can talk to friends without first calculating whether it’s the middle of the night where they are. Apparently wearing my scarf babushka-style is likely to draw the ire of people who think I’m Muslim. People actually follow traffic laws here. I can watch major sports events without having to search out a decent internet connection and a (probably illegal) streaming site that actually works. More to come as I readjust to life in the first world. Categories: Life in Mongolia | Tags: first world, Murica, reverse culture shock, travel | Permalink. It hit with a suddenness that took took my breath away. One minute I was staring eagerly out the window of my second Russian van in as many weeks, excited for the trip to the Gobi that had barely begun, and the next I was slumped against the seat, so exhausted at the prospect of being shaken half to death for the next seven days that I would have given almost anything to be out of that seat and back in the capital city. 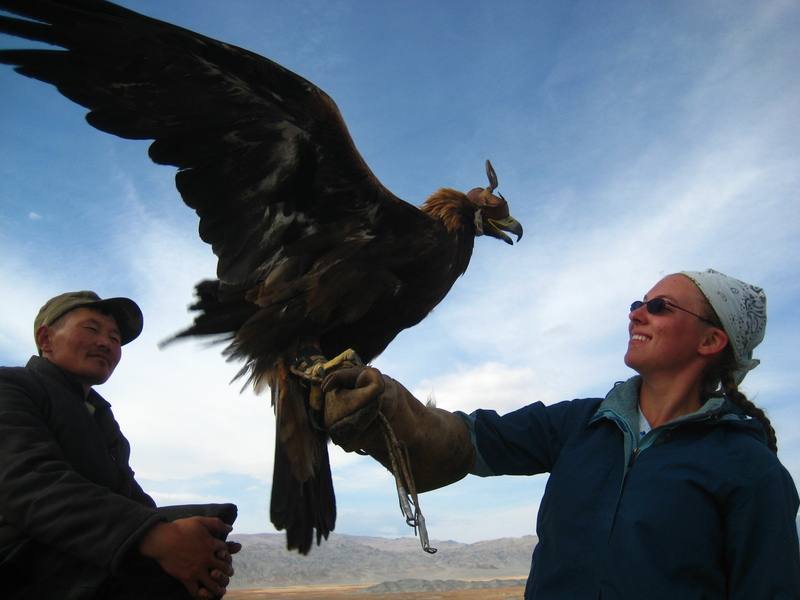 My plans had been ambitious: after my two weeks in Thailand, I’d spend a month in Mongolia that would take me west to the Eagle Festival in Bayan-Ulgii, south to the Gobi, and back up to Erdenet to celebrate my birthday with my friends. Then I’d ship most of my belongings home, joining friends in Vietnam and seeing Angkor Wat in Cambodia before finally returning home for Thanksgiving. Needless to say, things had not gone as planned. I’d gotten sick upon returning from Thailand, forcing me to move my planned Gobi trip from mid-September to early October. That three-week delay, seemingly so trivial, would force me to register to stay beyond my allotted month, and it would also severely curtail my tour options. Mid-September is still sort of tourist season in Mongolia; October most assuredly is not. The one tour to the Gobi I was able to join left Ulaanbaatar a mere 15 hours after my flight from the west landed. I needed a few days to rest from one trip before beginning another, and I wasn’t going to get them. And so, in that moment of window-gazing realization, my plans were upended. I knew then that I was simply too tired to continue my intended itinerary. After the Gobi trip, I returned to Ulaanbaatar even more traveled-out than I’d left it. Though the prospect of a beach somewhere in southeast Asia tempted me, given that I’d be headed home into a Chicago winter, I couldn’t quite manage to find it worth the ordeal of getting there. All the itineraries to Bangkok were awful, forcing me to arrive past midnight or spend the night in the Beijing airport. I could have taken the extra-long layover option, using the time to see Beijing itself, but even the thought of seeing the Great Wall paled next to my exhaustion of the thought of more crowds, more customs forms, and another language I didn’t understand. “You know, your cousin in Florida’s having a baby shower the first weekend of November,” said my mother. “Florida has beaches.” And while I know the Thai islands must make Florida’s coastline look like a drab sparrow to its colorful parrot, I decided Florida was enough. Within an hour, we’d booked a flight that would get me home in time for Halloween. I leave tomorrow afternoon, and though I’ve spent the past few days packing and repacking to meet the baggage guidelines, I still can’t quite process that fact. If you’re dismayed at not yet having heard my stories about the places I’ve been in the past two months, worry not; I have dozens of blog posts about Thailand, Bayan-Ulgii, and the Gobi that are still brewing, and even more on the rest of my time here. My experiences here have given me material to blog about for at least another year, and I fully intend to make use of it. There are lots of tales yet to tell, beginning with the conclusion to the hiking disaster cliffhanger. But first, I have other matters to attend to. As my nearly fifteen months in Asia draw rapidly to a close, I find myself with a lot of thanks to bestow upon the people who have helped and supported me throughout that time. First and foremost, of course, those thanks have to go to Mom and Dad. I can’t begin to quantify all you’ve done for me in the past few months (not to mention my whole life), so I won’t even try. Now you can quit fretting yourself into an ulcer, Mom. Just think – as long as the Grand High Military Masters of Fickleness don’t change their minds at the last minute (as they so often do), you get to have both your chicks home for the holidays! The second (and equally obvious) recipient is the Fulbright Program that brought me to this fantastic country. Friends who told me, when I was dithering between Mongolia (as a Fulbrighter) and France (with TAPIF), that I’d be nuts to pass up this fantastic opportunity – thanks. You were right. Accepting the Fulbright got me more than a plane ticket across the world and a placement at a school; I can’t begin to count the number of doors it has made available to me. I now have Mongolian pseudo-relatives so determinedly hospitable that they get offended if I don’t let them know when I’m in town or make the time to visit them; I have friends in Ireland, Slovakia, Germany, Spain, and numerous other countries whom I would not have met had I not been in Asia and with whom, I have been strenuously informed, I am to stay should I ever pass through their parts of the world. 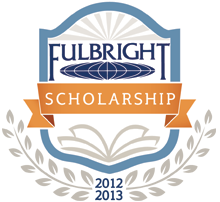 I have a high-profile program name to put on my resume, and a schnazzy @fulbright.com email address available to me, should I choose to use it. I have connections in the US Department of State (!) and Foreign Service who have been honest and enthusiastic in providing information about those career paths, should I choose to pursue them. I have contacts at the US Embassy in Mongolia who never hesitated to provide assistance in ways far below their job description, whether it was by helping me in my (futile) search for motion-sickness medication or calling my co-teacher to explain what, precisely, she needed to put in that letter I need for my exit visa. Uyangas, you da bomb. The other Fulbrighters, too, deserve thanks: my own cohort for the great time I had with them, and the new one for folding me into their social group and helping me with the unexpectedly extensive preparations needed before I can leave. Fifteen months in a country leave you with lot of baggage, and though I’ve known them only a few months, they volunteered to help me shoulder it even before I could ask. I’m so glad I stayed on long enough to meet you guys, and I wish our time here overlapped more. But the biggest thank-you I need to bestow is to a different and less obvious group, and that’s Peace Corps Mongolia. Whereas I was part of only the third group of Fulbright English Teaching Assistants in Mongolia, the new generation of Peace Corps Volunteers is the twenty-fourth to serve in this country. As the more established program, it has far more resources and a much better-developed support system. It was my great fortune to be placed in the same city as six PCVs who, without hesitation, granted me access to both. My thanks, however, go not just to the organization itself, but to the people who make it up. The greatest part about living with so many PCVs was the way it hooked me into a country-wide network of other PCVs. There are volunteers in just about ever corner of this country, and they are some of the most helpful and welcoming people I have ever known. There is no possible way to thank these people for every individual thing they’ve done for me, but I’d like to mention a few. Thank you for immediately folding me into your social network, for insisting that I attend early gatherings that I would otherwise have skipped for fear I was imposing. Thank you for including me in your educational endeavors, for providing a teaching environment far more rewarding than the one I was assigned. For your unwavering patience in explaining the bewildering array of acronyms that are an integral part of the Peace Corps patois, and for forgetting at times that I might need such explanations, as though I’d been part of your group from the beginning. Thank you for taking the time to accompany and assist me on errands in the days when even a visit to the post office far exceeded my pathetic language skills. Thank you for providing your expertise on little, everyday matters, even if it meant responding to a text from someone you’d never met. For offering your floors to sleep on, when you had the room to do so, and for throwing out the welcome mat in other ways when you did not. For the open invitation to visit your homes, near or far, and the way it expanded my travel prospects. Thank you for welcoming me, and the rest of the Fulbrighters, to Peace Corps Thanksgiving, for giving us a family with whom to celebrate when our own families were so far away. Thank you for accepting me as one of your own. 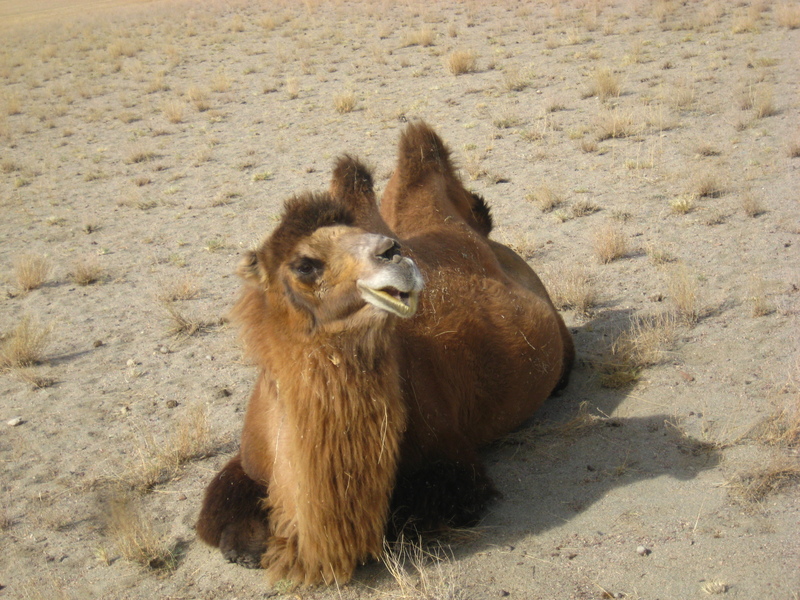 The biggest thanks, of course, go to the Erdenet Peace Corps Volunteers, whom I saw nearly every other day during my grant term and without whom I would surely have gone stir-crazy, and to the friend in the Gobi who acted as a much-needed confidante during my difficult winter. I found myself in what ought to have been a Peace Corps placement without the much more extensive Peace Corps training, and without all of your support, I might well have broken my contract and gone home early. I certainly would not have stayed five months after the end of my grant term to experience more of this country and culture. The Fulbright program may have brought me to Mongolia, but it was the Peace Corps Volunteers who made me want to stay. Categories: Life in Mongolia | Tags: Fulbright, Peace Corps, Peace Corps Mongolia | Permalink. After all this time without a word from me, you might be expecting some astute, well-worded posts. Surely I’ve had time to put something like that together, after all. Sorry, folks. No such luck. Mostly I’ve spent the past two weeks in Russian van getting shaken half to death on mostly non-existent roads, which is not conducive to writing, typing, or really anything besides keeping your eyes on the horizon and trying not get sick. But it does give you plenty of time to think, to yourself or to those around you, and here are a few of those thoughts. Desert or no, the Gobi is awfully cold in October. In related news, I’m really glad I brought my deel. The Gobi is not particularly sandy, for the most part. However, the one part that is will kill your camera faster than you can protest. Camels make funny noises. And funny faces. Really, camels are just hilarious creatures. Yaks are, if possible, funnier. There is an enormous difference between long-term travelers and couples on vacation for a month. The former are far more fun to travel with. Kazakh milk tea > Mongolian camel milk tea > Mongolian cow milk tea. However, fermented camel milk < fermented horse milk. Horses are more difficult to milk than cows, and cows are no walk in the park. I miss American autumn. 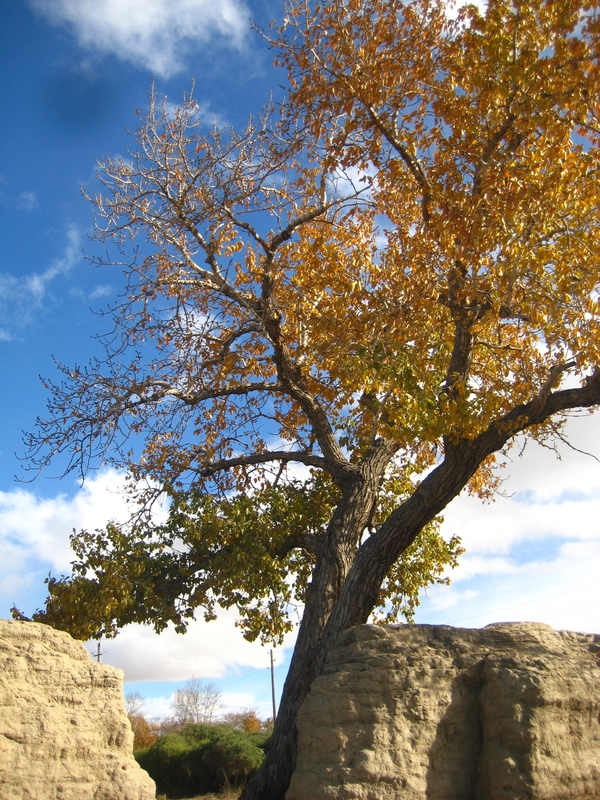 Khovd is well-treed, and the golden leaves everywhere made me amazingly homesick. Kazakh sounds remarkably Slavic. Which is to say that a Slovakian and a Kazakh can have what sounds, to a speaker of neither language, like a conversation, but does not successfully communicate anything. I have misplaced more things in the past month and a half than in the previous twelve combined. Some I have been able to get back; others, alas, are gone for good. Goats have a talent for mischief. Sheep have a talent for poor life choices. Eagles are enormous. And surprisingly heavy. You never really need to pee until the land around you has gone absolutely flat, with no cover to be had. Happily, extended travel makes you and your companions really good at not seeing people in need of privacy. Mongolia is really freaking gorgeous, even when it’s thwarting your need to pee. The view from our Kazakh host’s home! Sheep have funny butts that bounce when they run. Categories: Life in Mongolia, Travel | Tags: Bayan-Ulgii, filler, Khovd, Mongolia, pretty pictures, sightseeing, travel | Permalink. I spent the three days before my birthday at Stepperiders, a tourist-oriented horse camp about 45 minutes outside UB. I’d stayed with them for one night last fall and done a couple of trail-less trail rides (steppe rides? ), but this time, I wanted something with a greater sense of purpose. I signed on for a three day/two night trek, which brought us back to their base camp the night before my birthday. As the volunteers and I sat playing cards after dinner that evening, my guide surprised us with an improvised cake: gambir slathered with off-brand Nutella, upon which the words “happy 24” had been carefully inscribed with jelly. The two candles present being our sole source of light, I’d nothing to wish upon, but they sang me “happy birthday” nonetheless. The staff joined us for cake and airag and whisky and cards, and when they left, we sprawled across our beds and challenged each other to imitate horses in various human situations: wedding speech-giver, air traffic controller, zumba instructor, rap artist, first horse on the moon. The game left us paralyzed with giggles and wondering when someone would come to investigate the source of the hullabaloo. But no one did, and so we carried on until the last candle flickered out and left us to drift contentedly off to sleep. I arrived back in Erdenet in the late afternoon – too late to assemble the potluck I would have liked to, but plenty early enough to assemble at Marco’s Pizza. Marco is an Italian expat with more generosity than business sense who tired of his job at the Ministry of Agriculture in Rome. “I thought, ‘this is not life,'” he says of the decision that brought him to Mongolia, where he now runs a pizzeria with his Mongolian wife, Gerlee. His is the restaurant most requested by friends visiting from the countryside, and with good reason. Marco has always treated the Greater Erdenet Area Peace Corps/Fulbright community and has on many occasions closed early to privately host our birthday celebrations, going-away parties, and even an early Christmas dinner. The pizzas take forever because there’s only one oven, but Marco brought us a plate of the day’s leftover pasta as an appetizer. The two large pizzas – one bacon, one chicken – were delicious as always and cost us a mere six thousand tugriks per person (about $4). The Nutella pizza he brought us after we’d finished, as he always does on on such occasions, was free. We’ve protested on previous occasions, saying that he’ll put himself out of business with such generosity, but he says only that his business “is a trattoria, not a ristorante” and refuses all offers of payment for the extra food. And he sings us “happy birthday” on the appropriate days, even if it’s already been sung. For as long as I can remember, I have had the same cake at every birthday. The friends who attempt, in the days before my birthday, to discreetly discern my favorite kind of cake are always frustrated when I tell them it’s not something you can buy in stores. It’s a granny smith apple cake, full of spices and not overly sweet, whose recipe my grandmother must have clipped from some long-ago newspaper. It’s supposed to be made in a bundt pan, an instrument I always deemed unnecessary when packing for college but whose absence left me unsure how to adjust the baking time and temperature of the old recipe. Questions to friends about how they might attempt such an adjustment have, on two separate occasions, led me to receive a bundt pan as a birthday gift. I still don’t really know how to adjust the recipe, though I do know that the use of a bundt pan means that, in the absence of proper birthday candles, a jar candle can be substituted, a la the “I fixed it!” moment in My Big Fat Greek Wedding. I did not have a bundt pan on this occasion, but I was determined to follow tradition nonetheless. My first stop upon arriving in the city was to pick up apples from the discount shelf at the fruit delguur favored by the Russians (and, for that matter, Americans). I knew that, when baked, they’d taste every bit as good as the absurdly priced bright green ones in the main display. I was right. The cake took forever to bake in the toaster oven but filled the entire apartment with a delicious aroma, and when when sliced it up later that night, everyone agreed it was delicious. Although my host knew of my birthday cake tradition, having allowed me the use of her oven to bake one the year before, it seems neither she nor the others knew of my intent to continue it this year. Upon arriving at another friend’s apartment after dinner, I found that they had purchased another cake for me, a standard white cake with large frosting roses. I’m not a particular fan of frosting, and Mongolian cakes have a very hit-or-miss reputation, but when they dimmed the lights to bring out the cake and its single flickering candle for a third chorus of “happy birthday,” I still found myself ducking my head and grinning ridiculously. It wasn’t the taste of the cake or the excess of frosting that mattered, but the presence of friends new and old, people who wished me well whether I’d been part of their lives for a day or a year. As we settled to the floor for a game of Cards Against Humanity, stuffed to groaning with cake and good humor, I was grateful for the friendship and generosity of those around me. Even here, a world away from the people and places I know and love, I am truly blessed. And not just with cake. Categories: Life in Mongolia, Personal Pages | Tags: birthday, blessed, cake, Erdenet, food, friends, Mongolia, stepperiders | Permalink. What’s the Spookiest Fear of All?